We Now Offer BANDANA Printing!!! 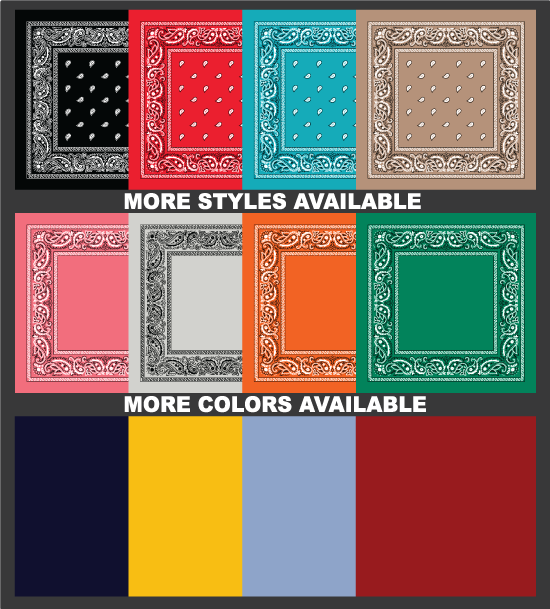 Pricing is for PRINTING ONLY on Supplied Bandanas. We can supply them or better yet you can can order your own and drop ship them to us. We can order them but will charge for our services. 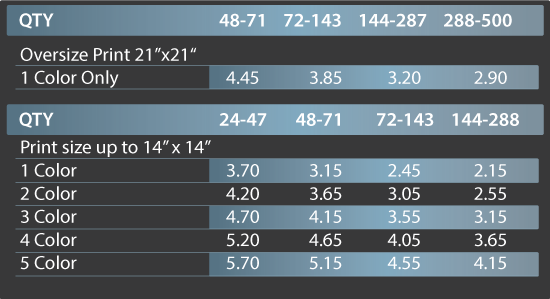 Please account for mistakes and if needed supply 3-5% over especially on custom made bandanas.